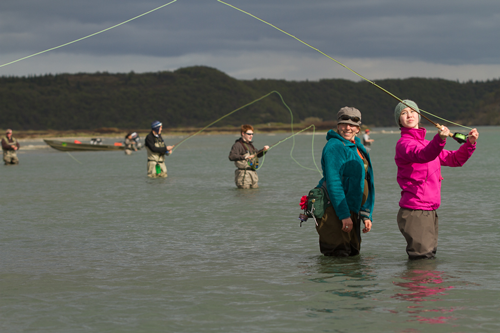 Photos by Clark James Mishler: Young people from Bristol Bay attending the Bristol Bay Fly Fishing and Guide Academy. This week on AK, we go fishing. 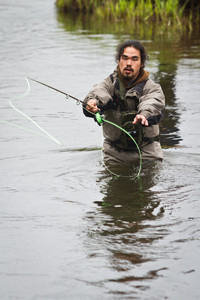 Most fly fishing guides in Bristol Bay come from Outside. But the Bristol Bay Fly fishing and Guide Academy is working to train young people from the region. Although many have been fishing since they were in diapers, their knowledge about fly fishing mostly comes from the movies. This year the Academy brought eleven students from across Bristol Bay to King Salmon. Time now for our weekly trip around the state. This week we’re visiting the village of Aleknagik, at the Southeast end of Lake Aleknagik.